My mom bought a box of orange cake mix a while ago (don't ask me why, I don't know why either), and it's been sitting in our pantry for quite a while. It snowed today, again, and I was bored so I decided to do something with it. Here's a cookie recipe which you can use to get rid of cake mix! This was inspired by lemon drop cookies, so I'm not sure if this recipe would work with other cake mixes like chocolate or vanilla, but citrus-y flavors are definitely a go. 1. Preheat oven to 375, prepare baking sheet with parchment paper or Silpat. 2. Pour out 1 box of cake mix into a medium-large bowl. If you're not too worried about wasting cake mix, take out 2 tbsp of the mix and replace it with 2 tbsp normal all purpose flour. 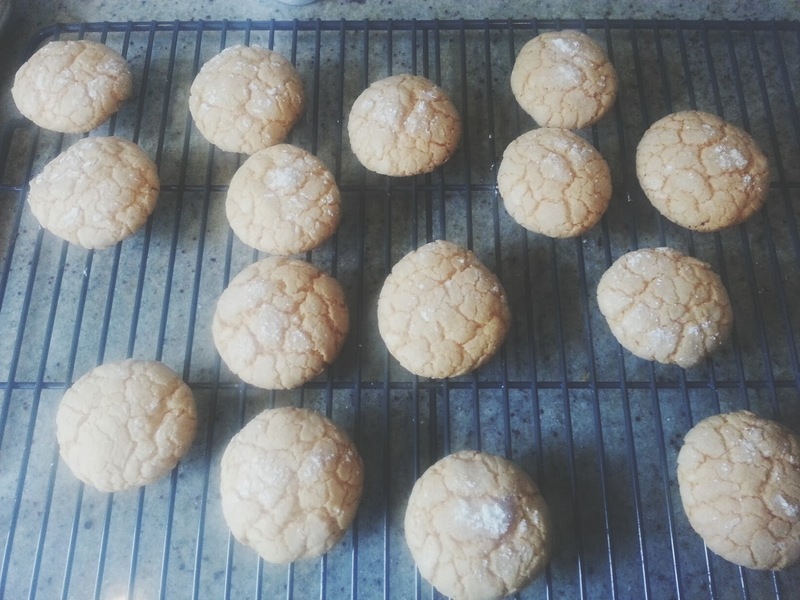 This is to diminish the citrus-y flavor and make it a bit less pronounced- I found that without this modification, the cookies were almost TOO citrus-y. But if that's what you like, that's fine too! 3. Add 2 eggs and 1/3 cup of oil to the cake mix. Mix the ingredients together until cookie dough forms. 4. 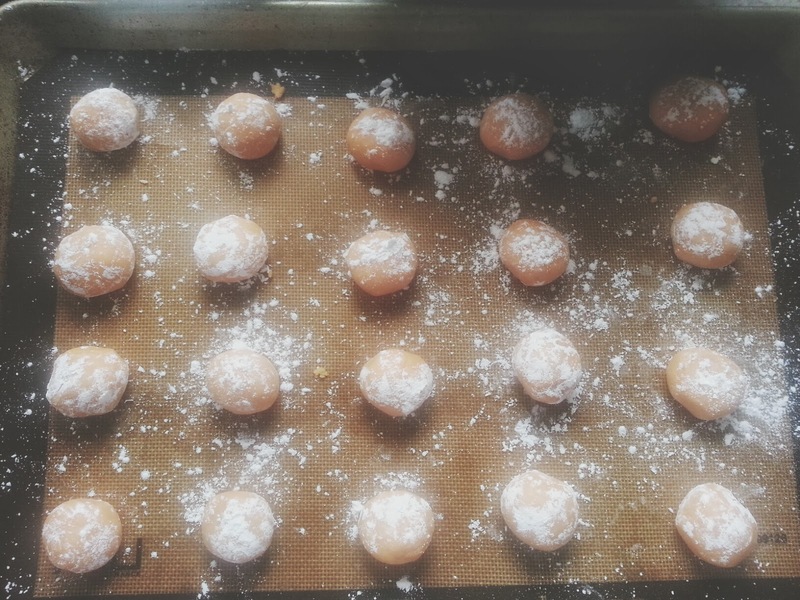 Roll up small balls of dough and drop into confectioners sugar. Coat with the sugar and place onto baking sheet, each cookie about 1-2'' apart. 5. Place baking sheet into oven and bake for 10 minutes. This varies depending on your oven so check the cookies regularly!